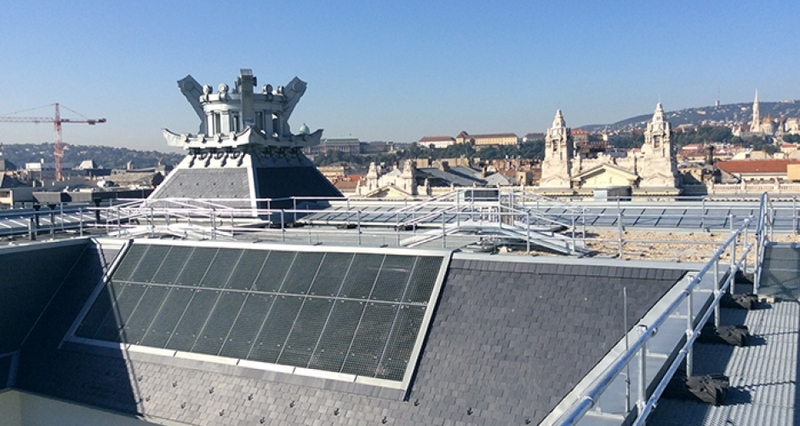 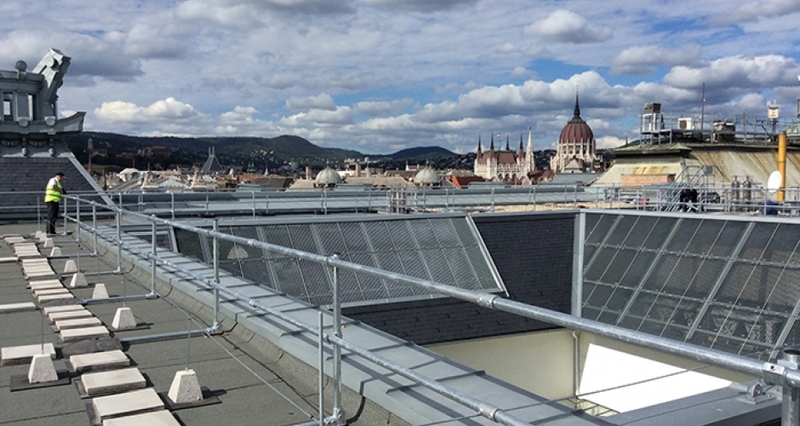 Kee Safety’s Export Division has recently supplied and installed KeeGuard roof edge fall protection system in Budapest, Hungary. 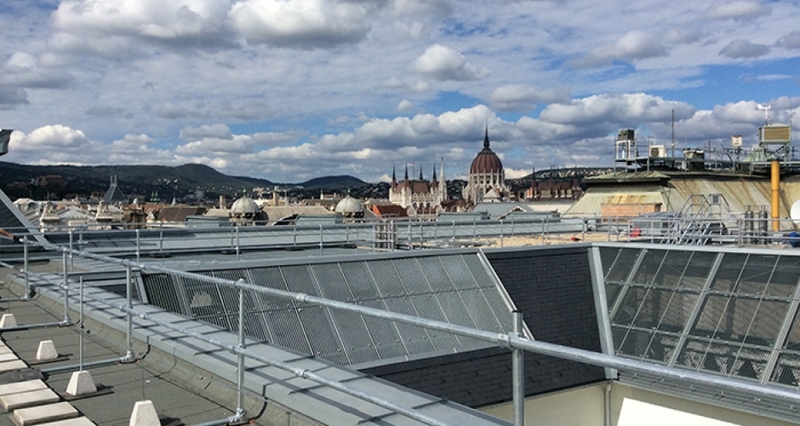 Our customer’s building is located in Budapest and has been extensively rebuilt; however roof areas were hazardous to essential maintenance staff. 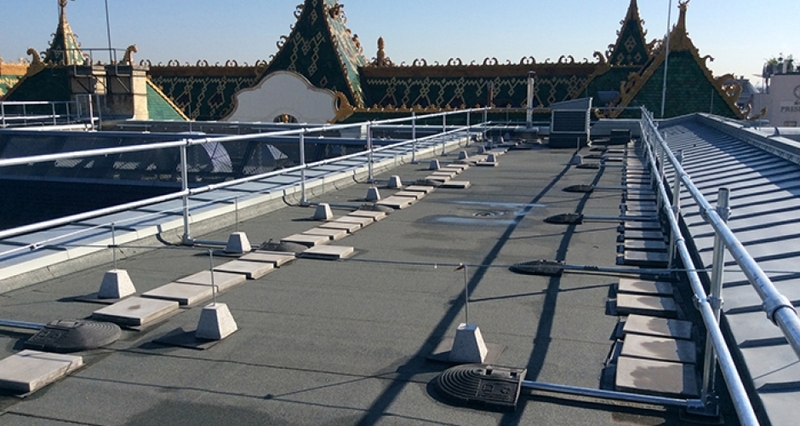 Following a full roof survey, conducted by a Kee Safety Engineer, the nine areas of concern were addressed and collective fall protection solutions were recommended to provide full protection to OSHA standards. 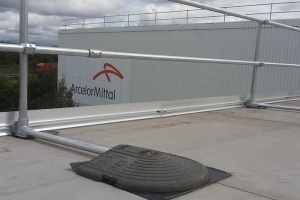 A turnkey project was awarded to include crane lifting and full installation. 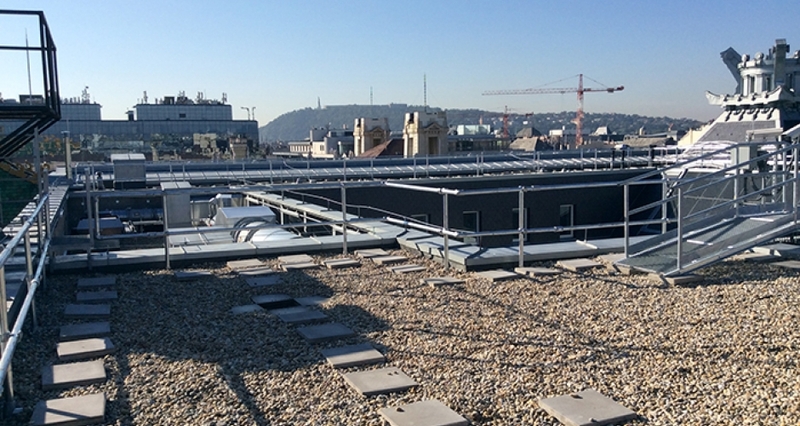 The project was completed on time and to plan, in just four days. 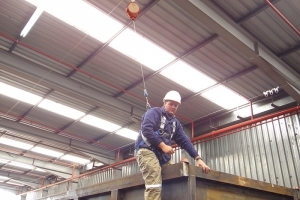 Our Export Division has the ability to manage projects directly. 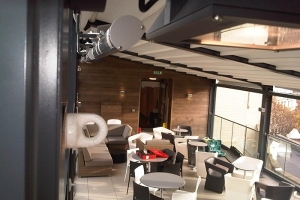 If you have a major project requirement we can offer a full design and installation service, assuring you of a safe installation fully compliant with all major standards and statutory requirements.